Bitcoin Magazine is the oldest surviving media outlet in the cryptocurrency industry, dating back to its launch in 2012 (eons ago in Bitcoin time). Bitcoin Magazine has been there covering the highs and lows of the Bitcoin revolution, and to many of us it provided our first exposure to the future of money. 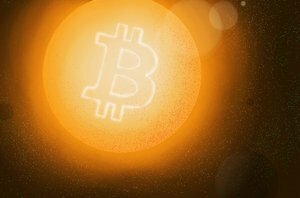 More than anything, Bitcoin Magazine has been a resource and voice for the Bitcoin community at large--representing the most diverse groups of individuals in commerce today.However, as Bitcoin has grown from a nascent technology to a financial juggernaut, the magazine has faced challenges scaling itself to the ever-increasing needs of its core community, not to mention its expanding rings of interested parties, newcomers and participating enterprises. The Bitcoin world is exploding, and Bitcoin Magazine is taking off right along with it. New opportunities and demands for news, features, data, analysis, products and services arise almost daily.With this challenge in mind, BTC Media LLC, publishers of yBitcoin (the magazine that brings Bitcoin to Main Street) recently acquired Bitcoin Magazine and brought this esteemed publication into the BTC Media family with open arms. As a strong, united and complete voice and face of Bitcoin, we are forging a new vision that honors Bitcoin Magazine’s role while encouraging the organization to meet its full potential.We envision a Bitcoin Magazine that not only gives the community at large a very loud voice, but also delivers the quality and quantity of content needed to stay educated on every new development. We’re going to be investing heavily in Bitcoin Magazine’s infrastructure and team to bring you exclusive scoops, breaking news, investigative reports, quantitative data, analysis from leading Bitcoin experts and a look behind the curtain of not only the world’s leading cryptocurrency, but the fintech space in general.So watch this space! You can still order back issues of the print magazine individually right here, or for special deals on back issues of this history-making pub, go to the Bitcoin Magazine Store now (while they last).We will continue to post updates here about the upcoming print schedule as well as new and continuing features of the digital magazine and website. Welcome, stay tuned, and thanks for being part of the future.